These beastly duodenary coils for the SMOK TFV12 tank pack an impressive punch. Capable of withstanding extreme wattages, these coils are designed for amazing vapour production and dense flavour. Pack of 3 replacement SMOK TFV12 V12-T12 – 0.12Ohm coils. Designed for use with the SMOK TFV12 Cloud Beast King. 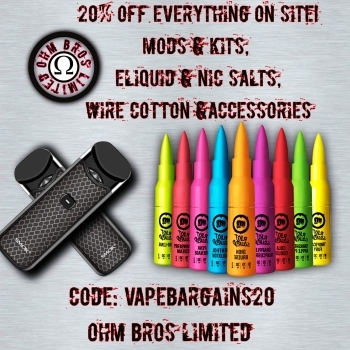 Awesome price for some awesome coils! After reading the fasttech reviews on these particular items this doesn’t seem like quite a bargain anymore.